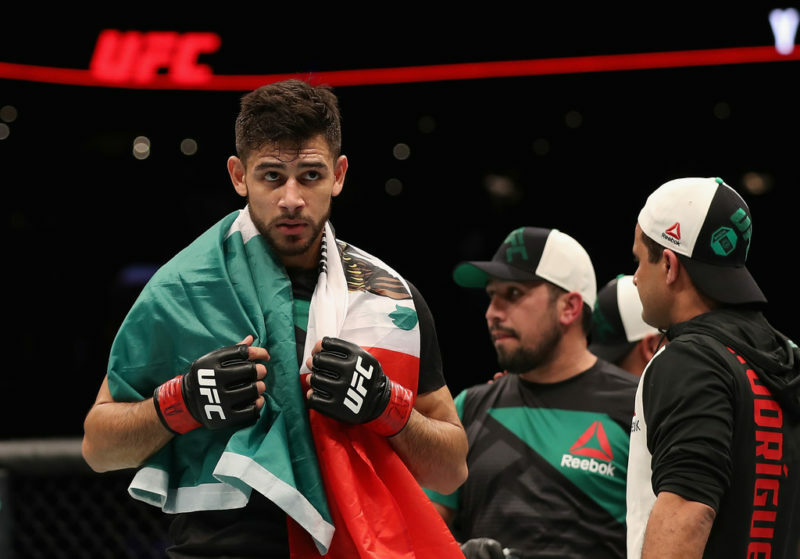 Which fight should the UFC make for Yair Rodriguez next? 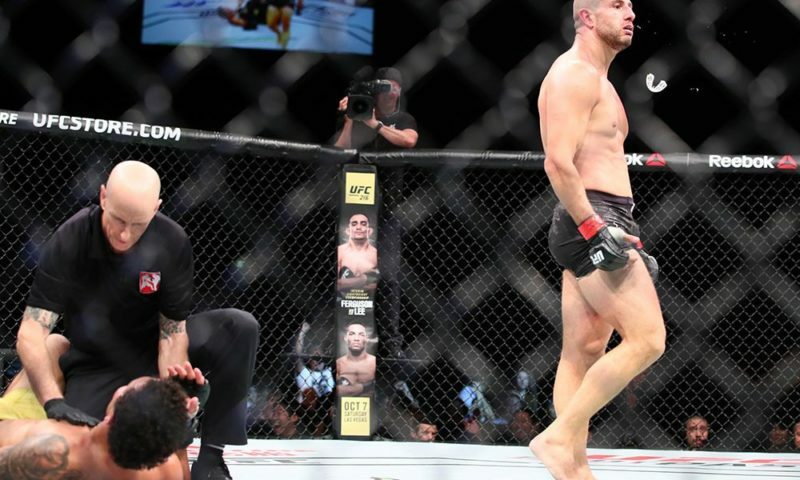 UFC Fight Night 139 gave us one of the fights of the year. Most expected fireworks from a fight between Yair Rodriguez and Chan Sung Jung, on a card that celebrated the 25th anniversary of the UFC and took place back where it all began. Nobody, though, expected a last-second knockout like the one that came at the very end of the fifth round. It looked like it would be a fairly routine end of the round, but it only took one second for things to change as the Korean Zombie suddenly hit the mat at the same time that the horn sounded. It can be hard to judge where the fighters should go next after a fight like that. Sure, it ended with a knockout, but if things happened differently by a split-second or two, we could be looking at a different result right now. It’s also hard to tell what this will do for the career of either fighter because of the stacked division. 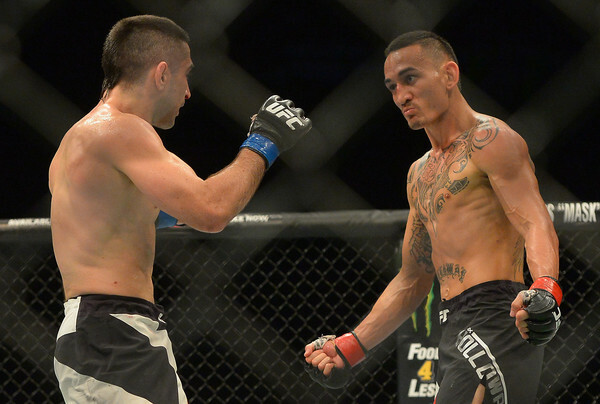 Featherweight is one of the most talented weight classes in the UFC at the moment, and moving up in ranking isn’t easy. But still, some time has passed, and it’s easier to look at the fight objectively. There has also been time to look at the circumstances surrounding the battle, and whether or not they should have an impact on where the winner goes from here. It’s time to look forward and examine where one of UFC Denver’s biggest winners will end up now that it’s all said and done. 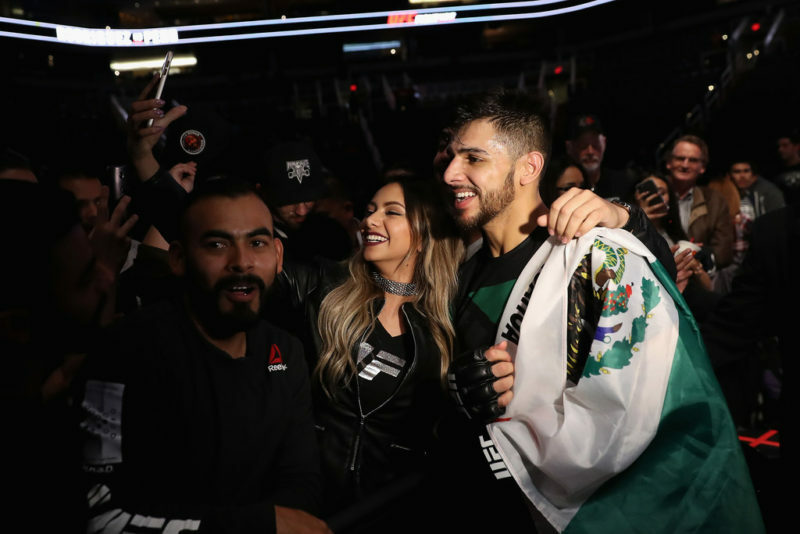 Will Yair Rodriguez go up or down? The UFC has a bit of a problem on its hands when it comes to Yair Rodriguez. Not a big problem, but a problem nonetheless. 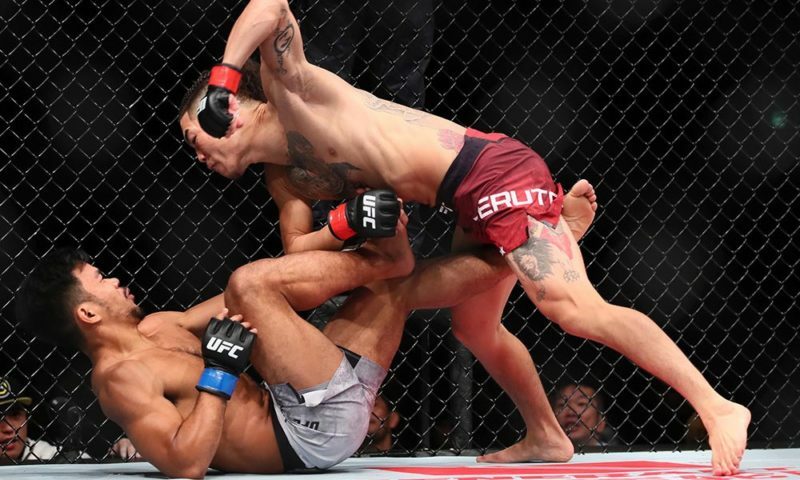 Rodriguez is known as one of the most exciting talents in the promotion and reminded everyone of why with his finish at UFC Denver. But picking his next matchup is tricky because while that finish seems like it would earn him a shot at a higher ranked fighter, many believe he still owes a fight to someone further down the rankings than he is. 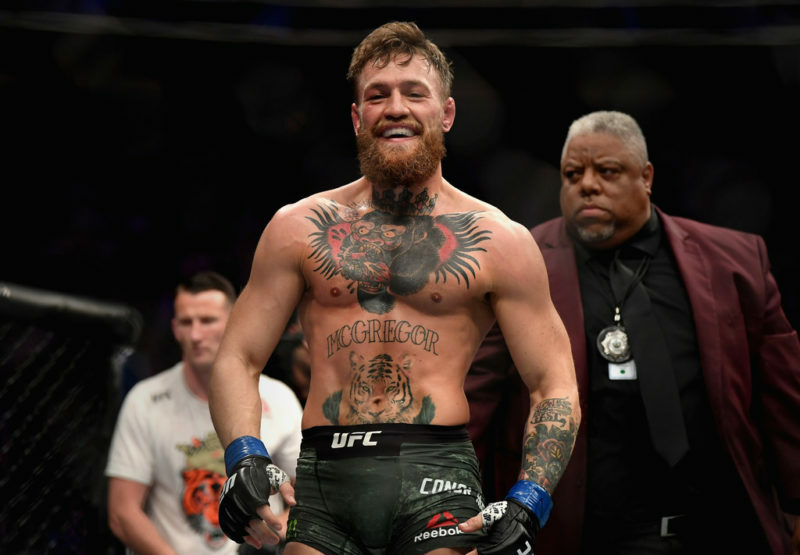 After much drama, involving Rodriguez being released from the UFC for turning down two fights before eventually making a comeback, he was expected to face Zabit Magomedsharipov at UFC 228. Despite the fight having some hype surrounding it thanks to the contrast in the styles of both fighters, it never happened because Rodriguez was injured in August, a couple of weeks out from the fight. Following his recovery, Rodriguez stepped in to replace Frankie Edgar against Chan Sung Jung and did well enough to move up to the #11 spot in the featherweight rankings. Magomedsharipov, on the other hand, is at the very bottom of the top 15. Should Zabit become Rodriguez’s next opponent because of their previously scheduled fight that never happened? Or does Rodriguez deserve a shot at someone higher up the rankings? The fact of the matter is that Rodriguez already fought a higher ranked fighter and won, and did so in a way that captured the attention of practically anyone who follows MMA. He did the exceptional, and while a fight with Magomedsharipov is definitely interesting from a styles perspective, Rodriguez has done enough to deserve the higher rated opponent. Defeating Magomedsharipov wouldn’t bring him closer to a title shot. Defeating someone like Cub Swanson would. Swanson might be the ideal opponent for Rodriguez. While Swanson is traditionally too good of a fighter to serve as a gatekeeper, that’s the role that he could soon see himself filling. 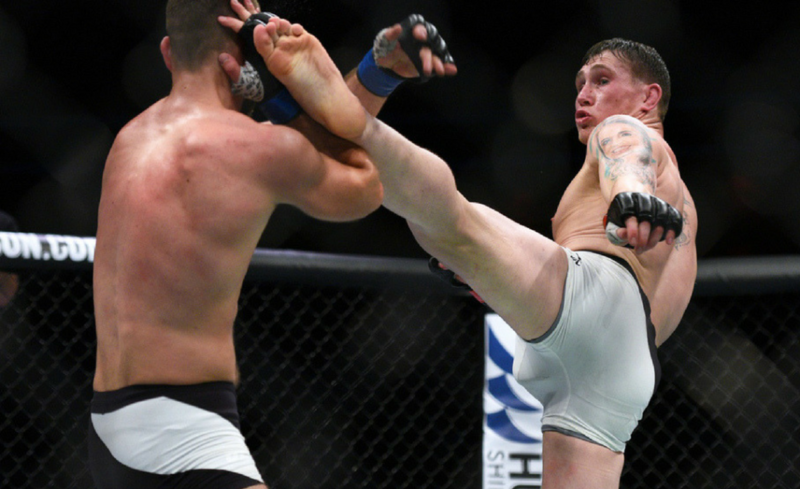 He’s lost his last three fights but was at least somewhat competitive in all of them and when he fought up and comers Brian Ortega and Renato Moicano, he helped to boost their popularity simply by fighting them and bringing some attention to them because of his name value. It’s easy to imagine that many of the more casual fans of the UFC didn’t know much about Ortega, or even who he was at all, before he fought Swanson and headlined a Fight Night card. Now? Ortega is one of the hottest names in the UFC. Of course, Swanson’s name value is on a bit of a decrease because of the ongoing three-fight losing streak. While he’s still a popular fighter, it’s becoming rapidly clear that he’s already past his prime. The UFC wants Rodriguez to be a star. The promotion needs more stars in general, and this point has been made over and over again by both fans and critics. Rodriguez is also from Mexico, a very large country which has a strong interest in boxing. Translating that interest to MMA would bring in huge dollars, and having a Mexican superstar would accelerate the process. You could even argue that Rodriguez could be a catalyst for it. The fans can argue that Magomedsharipov deserves to fight Rodriguez because the two were already set to fight before an injury happened, but the UFC is a business and that just wouldn’t be a business move. Rodriguez is a potential star and would gain little by defeating Magomedsharipov, someone under him in the rankings who is considered an up and comer rather than a former title contender. And if he lost the fight, it would give him his second loss in three fights and wouldn’t be a very good look for someone that’s meant to star in the division and help win the Mexican market. Not everyone will like it, but pushing certain fighters towards title shots is how the UFC operates these days. It makes sense from the perspective of the promotion to give Rodriguez fights that would boost his standing, but that aren’t so threatening that he would be an underdog. Swanson is the far more famous fighter and is on a three-fight losing streak, while Magomedsharipov is only recently becoming a recognizable name and has only lost once, back in 2013. After the impressive victory at UFC Denver that embedded Yair Rodriguez in the collective memory of MMA fans once again, Swanson seems like one of the safer predictions for which opponent he’ll face next.